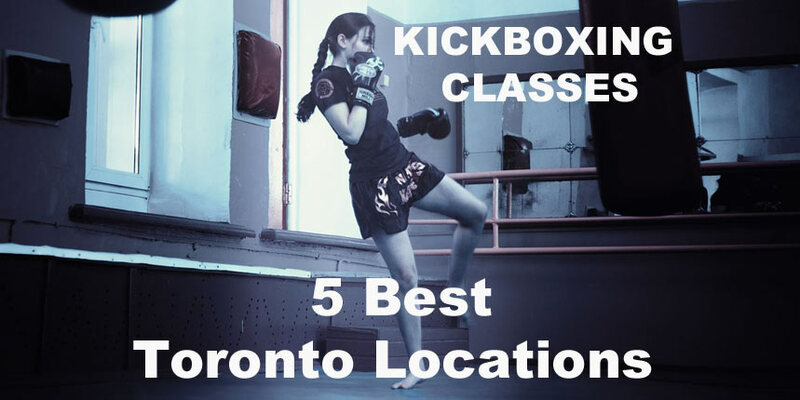 Are you new to the kickboxing world, questioning “what are the best kickboxing classes near me?”. Keep on reading for our list of 5 best Toronto locations! Kickboxing is a group of stand-up combat sports based on kicking and punching, historically developed from Karate, Muay Thai, Kun Khmer, and Boxing. Kickboxing is practiced for self-defense, general fitness, or as a competitive contact sport. People who are into fitness, frequently join kickboxing classes. It provides a way to get physically fit and mentally sound. This is a well-known Toronto based academy that has lots of positive reviews. The academy is clean, instructors are good and friendly, and fees are reasonable. Besides, they offer a wide range of martial arts classes. It is a double storey big gym. They offer BJJ, Mixed Martial Arts, Muay-Thai, Kickboxing, Boxing, Russian Sambo, Self-Defence, Strength Training as well as private instruction and personal training. It is the only academy in Toronto that teaches the genuine art of K-1 kickboxing mixed with Muay Thai techniques. Also, they offer a seven day free trial. It is a martial arts academy in Toronto Downtown. The instructor, Kin Sze, is a very experienced person with 20 plus years’ experience in martial arts. The kickboxing class involves less individuals per class so attention is given to every student separately. The environment is welcoming and the studio is clean. These kickboxing classes are more geared towards fitness goals, kickboxing for fitness also incorporates proper technique for application. This is a Toronto based academy with good reviews. According to customers, it is a great place to learn kickboxing of all levels – from beginners to experts. Steve is the head coach at the academy and he is experienced and passionate. This school offers jeet kune do, M.M.A., kickboxing, boxing, grappling, and weapons. This is a popular academy in Toronto. While most martial arts and kickboxing schools emphasize tradition, strictness and rigid conformity, the environment at this academy is relaxed and non-judgmental. They offer intense and progressive training. John Kolakovic is the head instructor of this martial arts school in Toronto. This school has good reviews and offers both adult and kids classes. This option may be good for you if kickboxing fitness is the reason why you are looking for “the best kickboxing classes near me”. The school is noted for its kickboxing fitness program. A good environment and instructors are thorough and helpful while teaching the techniques. Kickboxing is a sport that requires strength, energy, dedication and endurance. The beginners joining it for the first time may even feel discouraged if they face sports injuries and body pains. Once you find suitable answers to your “what are the best kickboxing classes near me?” question, consider also looking into sports injury clinics that provide proper treatment for sports injuries. for example, elite sport therapy called Whole Body Cryotherapy is one of the ways to treat sports injuries. The process involves bringing down your body temperature to 10 degrees celsius that heals your wounds and relaxes your muscles. Getting this type of therapy is a good way for performance enhancement in kickboxing classes. Book your FREE consulation by calling us at 416-509-4555.